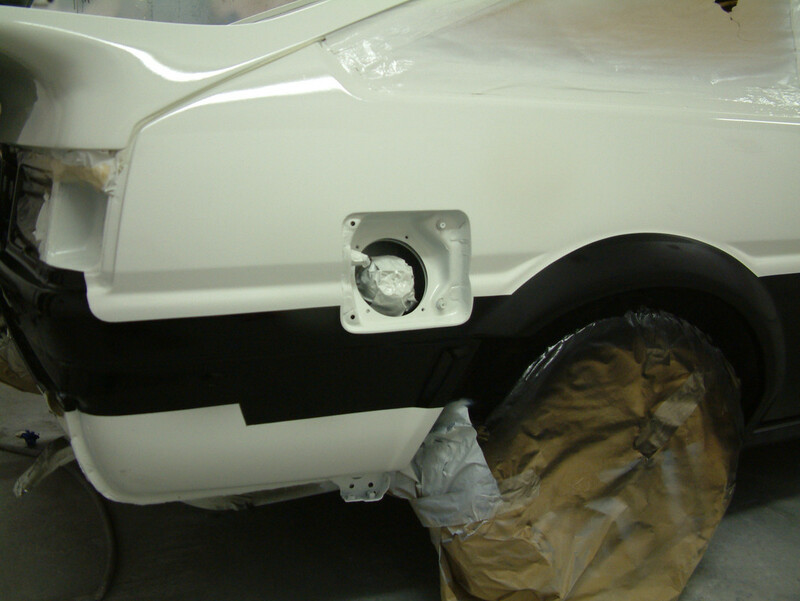 Has any one on here done a two tone panda paint scheme? I need the measurements so I can do it my self. Please let me know, thanks. Using the deepest point of the concave body line on the wings, doors and 1/4s measure down 30mm for the change of colour. The top of the side moldings are then a further 55mm from there for a total of 85mm from the top of the molding to the body line reference point. The rear of the car is different if you have an early coup or a late coupe or a hatch. The hatch version curves up to what looks to be the edge of the tail lamp lens. The early coupe drops the lower colour beneath the license plate recess whereas the late coupe goes straight across, probably due to the plastic garnish that fills the recess. There's a 3mm pinstripe of colour around the fuel flap and a matching 3mm pinstripe on the 1/4 panel around the fuel flap. This is usually overlooked it seems. Oh and on the arches it is approximately 8mm of white and then into black in the above photo. 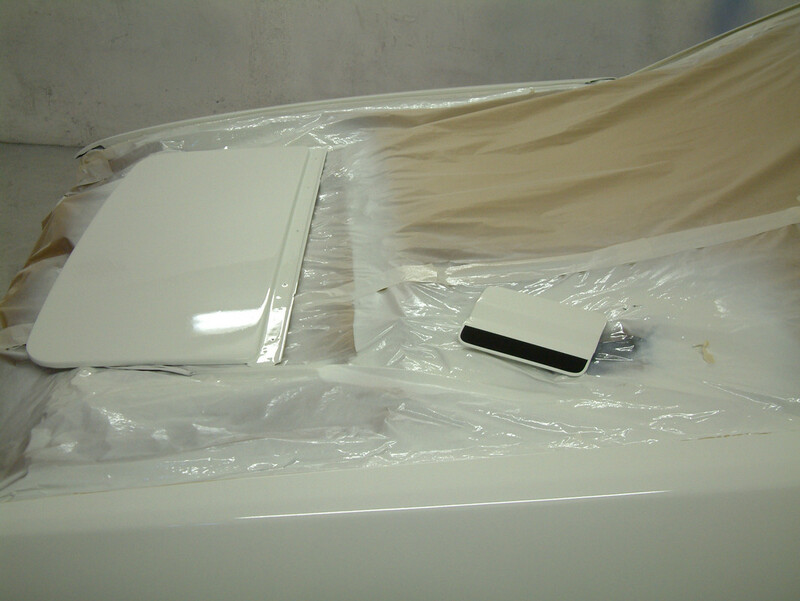 This is another thing that can drastically change the appearance of the 2 tone paint job. The funny staggered line on the rear pocket is how mine was painted from factory.